Max Richter is no stranger to soundtracks, having previously lent his minimalist, classically informed approach to films including The Leftovers, Waltz With Bashir, Miss Sloane and Disconnect. 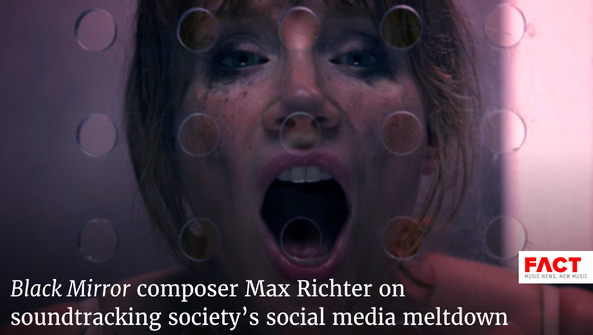 The Berlin-based composer brought his A-game for Black Mirror S3's opening episode (and surely one of the most talked about) – ‘Nosedive', a teeth-clenchingly uncomfortable portrayal of superficial status in the digital age, helmed by Atonement director Joe Wright. Bryce Dallas Howard plays Lacie in a not-so-distant future where Facebook and Instagram likes have evolved into a terrifyingly central part of our lives. Number of likes on an unnamed, ubiqutuous social platform are used to determine a rating out of five that has drastic consequences for those lower on the register.